Kenya has two wet seasons and two dry seasons each year. In the wet seasons, flooding and soil erosion are problems, while in the dry seasons growing food is difficult and supplies of water for domestic use become harder to find. Many people use river water which may carry water-borne disease such as dysentery, cholera and typhoid. Collecting water and carrying it home can waste a lot of time. During the dry season it may take even longer as local sources may dry up and longer journeys become necessary. We want all our link communities to have reliable clean water supplies for domestic use and, wherever possible, for crop irrigation. 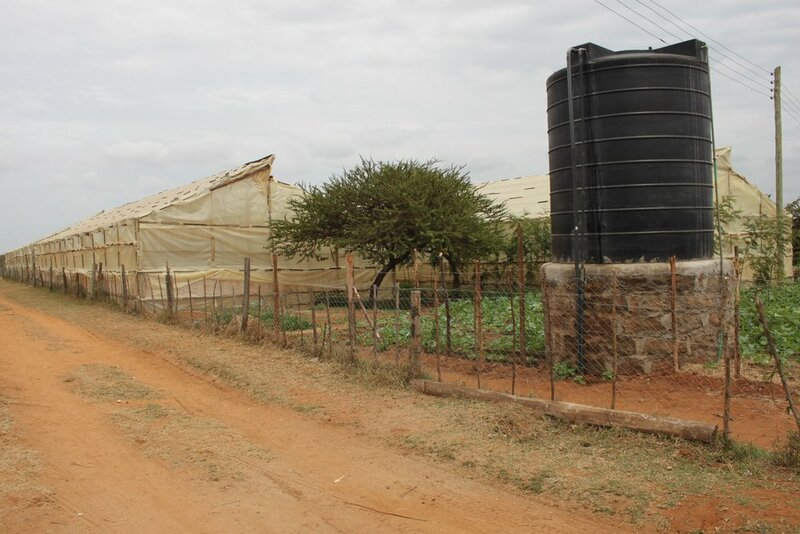 Buildings with corrugated iron roofs can be used to collect water by fitting gutters. The water is stored in black plastic tanks. If enough is collected then the stored water will last until the next rainy season. We have also recently completed a concrete water storage tank at Kinda Biye and provided guttering and feeder tanks to feed into this. If the water table is near the ground surface then a well or borehole can guarantee water supplies throughout the year.